Kuwait’s Information and Youth Minister Sheikh Salman Hamoud Al-Sabah has tendered his resignation letter hours before his scheduled appearance at the parliament. His decision is said to have been motivated by plans to hold a vote of no confidence against him on Thursday with around 30 of the parliament’s 50 members promising to vote for his dismissal after last week’s questioning session. 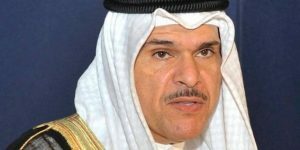 Minister Salman is held responsible for Kuwait’s suspension from international sporting activities by several sports organizations, waste of public funds as well as financial and administrative violations. There are reports that Salman’s resignation was also geared towards preventing a clash between the government and the parliament. The minister is a member of the ruling family and the government was expected to strongly support him against the odds. Salman categorically denies the charges and accuses Kuwaitis with senior positions in international sport organizations of orchestrating the country’s suspension. Observers have claimed that the situation is due to a rift between senior members of the ruling family and politicians. World football body, FIFA, and the International Olympic committee (IOC) suspended Kuwait since October 2015 from their activities for alleged government interference in the management of sports. Several other sports federations imposed similar suspensions. The IOC demands that Kuwait amend its sports laws and immediately reinstate the Kuwaiti Olympic Committee, which was dissolved in August before the suspension can be revised. It also wants it to withdraw all cases challenging the suspension’s legality filed in Swiss courts against international sports bodies. Due to the suspensions, Kuwait has missed out on Rio 2016 Olympic Games and qualification for the 2018 World Cup as well as the 2019 Asian Cup qualifications. Written by: Jaber Ali on February 7, 2017. Posted by Jaber Ali on Feb 7 2017. Filed under Gulf News, Headlines. You can follow any responses to this entry through the RSS 2.0. Both comments and pings are currently closed.